Welcome home to 511 Rosewell Court. Beautiful curb appeal with partial brick exterior and newer roof. Step inside and be greeted by the expansive foyer with hickory wood floors. The large, open concept kitchen and family room are great for a large family or entertaining. The family room has a gorgeous, brick, gas fireplace and stunning views of the private, tree-lined backyard. Upstairs you will find 4 bedrooms and a bonus room that can be used as a game room or a 5th bedroom. The walkout basement is nicely finished with an entertainment area, built in surround sound and ample storage space. Donât miss the 8âx12â storage shed under the deck for additional storage. This home has been well maintained and includes several updates including a new roof, siding and 5â gutters (2015), water heater (2016), freshly painted (2016) and oil brushed bronze door hardware (2016). 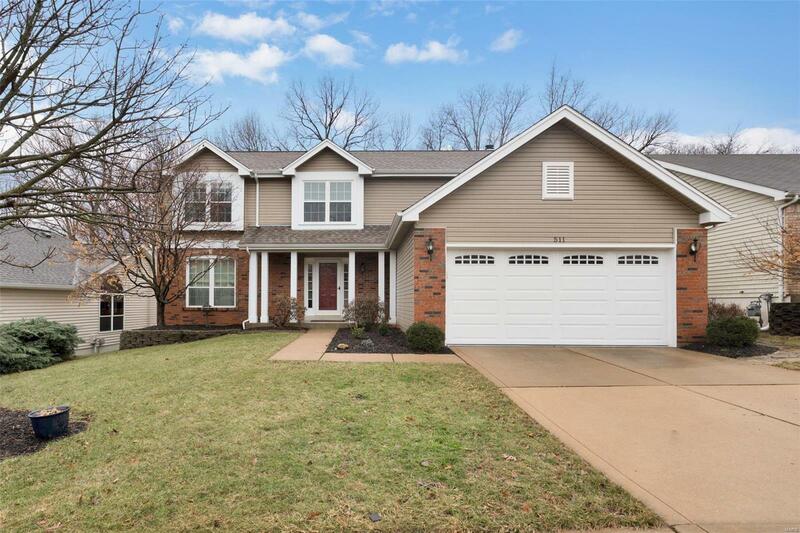 Donât miss out on a great opportunity to be the next owner of this beautiful home in top rated Rockwood School District.